Welcome to this week’s Your Inspired Design link party! Are you all aching for Spring weather like we are? We’ve had our pretty snow so now its time for some warmer weather, sunshine and green! 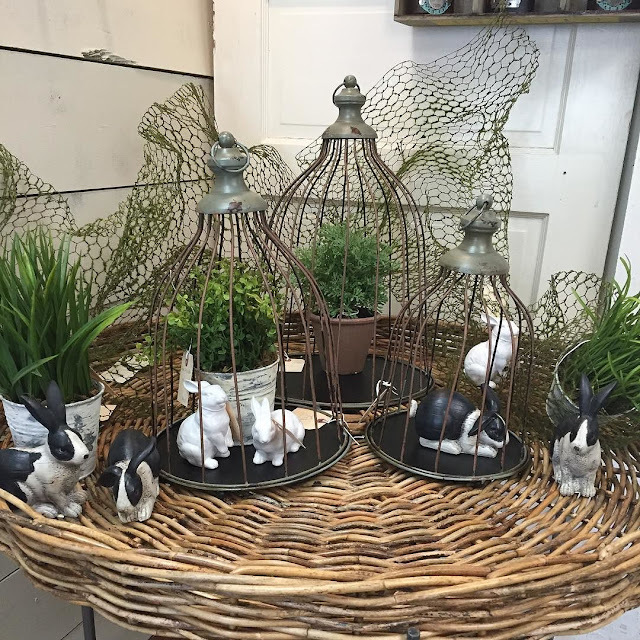 At the shop we have been bringing in lots of great new items from Market and with that is some pretty new items that will help you bring some Spring green into your home. If you are in the area, stop by the shop and see all the new stuff! 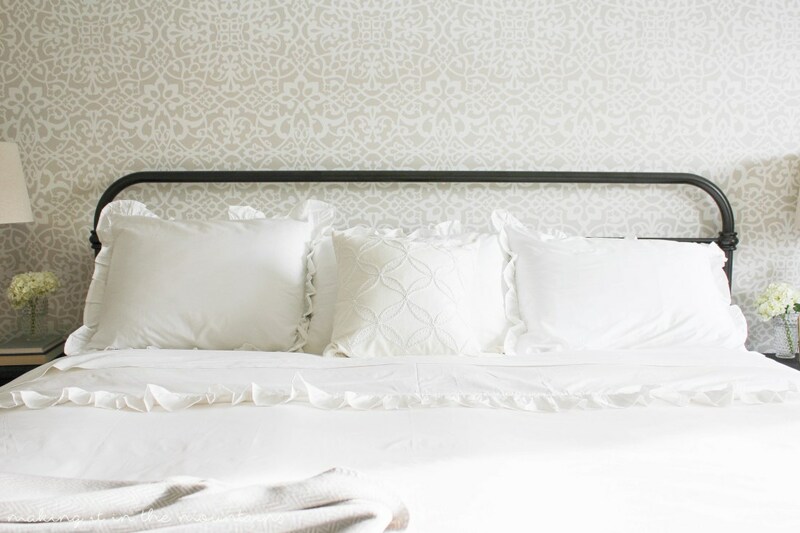 This week, we are featuring two great DIY projects. The first is from Kristi at Making it in the Mountains. She shows us how to easily stencil a wall. Just beautiful results. 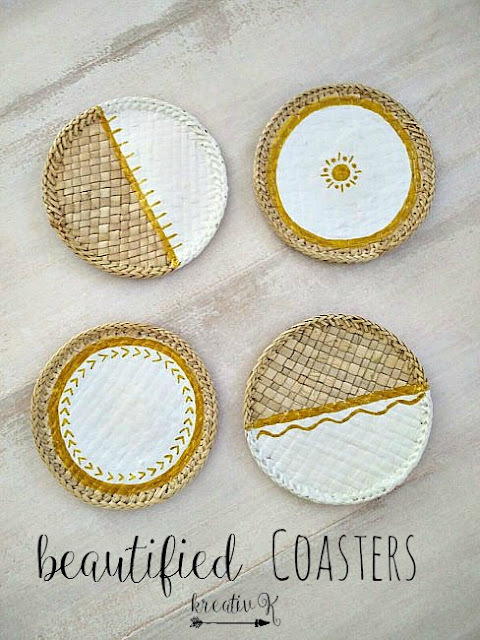 And our next feature is a quick little DIY of some fabulous gold and white coasters. You could do any color combo, but gold is H-O-T right now! Thank you for sharing, Katrin, at Kreative K.
Thank you all for sharing! Be sure to grab your featured button down below! Can’t wait to see what you share this week! Now, let’s get this week’s party started. Holly, thank you so much for the invitation to come by and share! Beautiful inspirations here! Have a wonderful week! Thank you so much for the invitation, Holly. Hope you have a great weekend. I’m late but I could make it, thanks so much for the party Holly! Have a wonderful weekend!